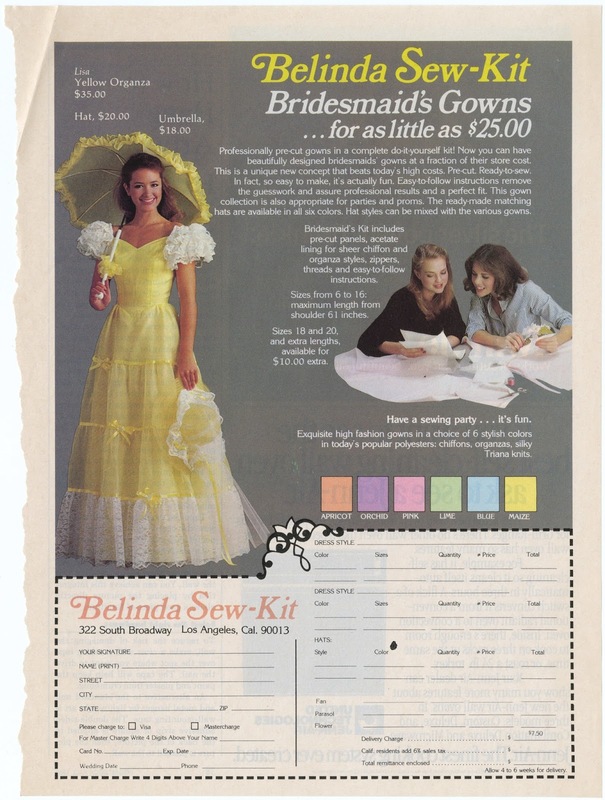 This is what bridesmaids wore in 1982. It looks an awful lot like one of the dresses from the movie 27 Dresses. As a sidenote, the woman wearing that yellow organza frock is a young Janine Turner of Northern Exposure fame.